"Photographer Huang Qingjun spent nearly 10 years traveling remote areas of China with his camera for a project titled “Jiadang”, or “Family Stuff”. Qingjun asked a number of families to drag all of their stuff outside their house and pose with it. 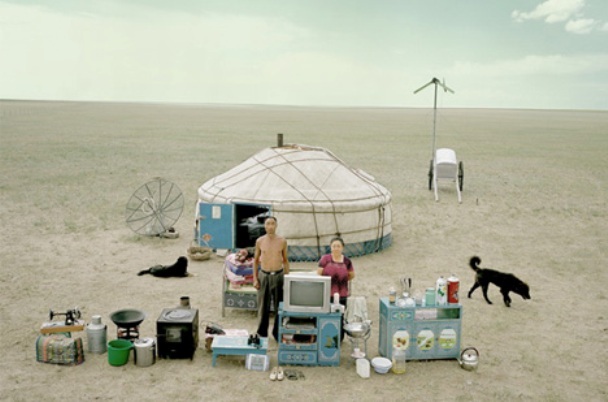 The photos display the lives of his countrymen through their posessions. The resulting portraits are both awe-inspiring and humbling." Just GOOGLE and you can see so many more!! ->MoarrrR! Thanks to that's the Hookup posting about this awesome series of photos!